Not so, according to dynamic industrialist and major philanthropist Al Weatherhead. 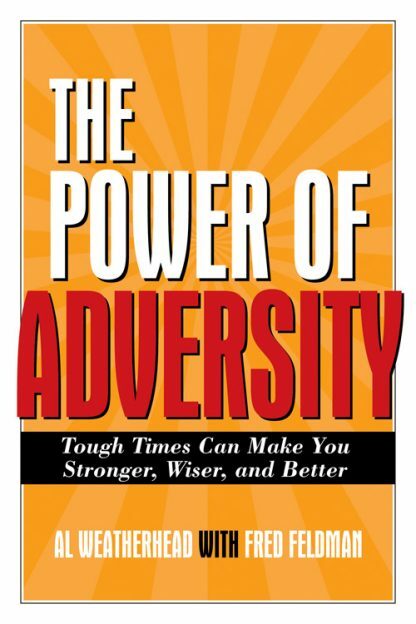 He says adversity is not a curse but a gift--and that when we embrace our problems we temper and empower ourselves to achieve unimagined success. Al Weatherhead, chairman and CEO of Weatherhead Industries, endured wrenching family estrangement, serious arthritis and heart disease, and is a recovering alcoholic. Instead of surrendering to his adversity, he came to see it as a �blessed enemy� and leveraged it to achieve extraordinary personal and professional success. He lives with his wife, Celia, in Cleveland, Ohio. Fred Feldman has published 17 novels and co-authored three nonfiction works in the self-improvement and how-to business genres. He lives in Massachusetts with his wife and daughter.